Short Cuts centres around nine media students who explore the various uses of a video camera. A camera can be a tool of expression, exploration and communication. But it can also be a tool of manipulation, secrecy and lies. The students find individual ways of using the camera; the only rules being, there are no rules, so expect the unexpected! 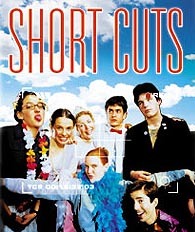 Short Cuts won the 2002 ATOM Award (Australian Teachers of Media) for Best Children's TV Series, the 2002 AFI Award for Best Children's Drama series, and writer Marieke Hardy won an Australian Writer's Guild Award for Best Children's Screen and Radio (Original).